Moving house is not an easy task. It can be taxing considering what lies ahead, right from the time you decide where to move up to the moving day itself. Amongst other factors that you should consider when moving is the perfect timing with which you should do it. You might ask: Would it be good to move during the weekdays or would it be better to do it on the weekend? Let us weigh in on that. The cost of the move can vary depending on the day of the week with which you decide to make the move. Many times, the cost of moving during weekends can be costly simply because the demand during these days is higher. This can be further analysed by the fact that when the demand for moving goes up, movers become busier and definitely costs can be higher. It can even be costlier if the weekend is declared an official holiday in your locale. During this time then, it can be hard to look for a reliable weekend mover (unless of course you have scheduled the move beforehand or a few months back). With cost as a consideration then moving during the weekdays is a better option. As much as possible, you would not want the idea of adding up to the stress you already have when it comes to moving. Certainly, you would go for a convenient option at this moment. However, defining what convenience is can be affected by the time of the week you decide to move. The picture, in this regard becomes entirely different with what you have seen when considering the cost of the move. Look at it this way. If you are a regular worker, meaning you spend eight hours a day on your job, then you can be very busy to make the move during the weekday. If convenience is so important to you with regards to this endeavour, then it would not be ideal to go on with the move during weekdays. You should always have enough time to organise the move and surely when time is a restraint then moving during the weekdays is not a convenient choice at all. Convenience wise, moving during the weekends is a better option. Perhaps, it would really be so disappointing to find out that moving during the weekdays and moving on weekends get a point each with the discussions made above. Due to this score, you might want to analyse things even further. Convenience or time element matters as much as the cost factor but when you try to see how these factors are broken down, you will be able to come up with the final decision wisely and in accordance to what will benefit you the most. During the weekends, people like you have all the time to spend outside your homes. You can go to the mall and spend some time with the family. This is something you can never do ideally during the weekdays. With more people thinking this as the perfect time to bond with family and friends, expect the streets to be jam-packed with traffic. The scenario may vary depending on whether you will move to a busy city or a peaceful town. When is the right time to move then? If you will look into what has been discussed above, you can quite say that moving during weekdays is the winner considering the cost and the traffic element. Apart from these factors however, there are yet other things that you have to take note of along the way. When you start questioning yourself about the appropriate time to make the move, then you might as well check with the service provider. Make a careful plan of your move and see if your weekdays can accommodate the task without the stress you are expecting from the process. Of course, you have to consider the time when the moving company is available. They can help you come up with the decision. Getting a quote for your move will be a lot of help too. When doing so, you can actually compare their rates for the weekdays and weekends. These quotes are supposed to be free-of-charge, by the way, so you have to make the most out of it. With the quote, you can take note of the extra services the provider is willing to render. Deciding on the best time to move by considering the factors above is a matter of choice. You can choose either from what is convenient to you or what is cheaper. At the end of the day, what benefits you the most should form part of the decision. Add to that, you must also consider the best time for movers to accommodate your relocation endeavour. 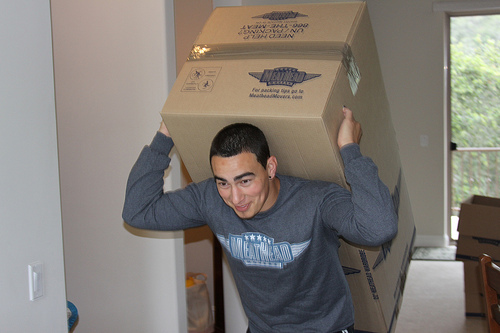 Regardless of when you want to move, we can assure you one thing – we are more than willing to help!